The city government of Vigan, in coordination with the Department of Tourism (DOT) and Department of Trade and Industry (DTI), is set to hold the week-long Viva Vigan Binatbatan Festival of the Arts from April 28 to May 6. 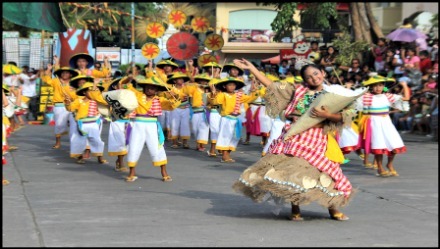 The festival will feature a trade and food fair and a display of Ilocano delicacies, traditional industries and crafts. Mayor Eva Marie Singson-Medina said the event hopes to attract foreign and local tourists to help generate job opportunities and boost the economy of this heritage city known for its unique history. Locals take pride of its Vigan Heritage Village, which was inscribed in the United Nations Education, Scientific and Cultural Organization’s World Heritage List. Medina said that various best-selling crafts and goods from the Ilocos region and other parts of Northern Luzon will be displayed like the popular Vigan longganisa, bagnet, “burnay” or jar, “ Abel Iluko” or loom woven cloth, “basi” or Ilokano red wine, wall décor handicrafts and antique furniture. Provincial Director Grace Lapostura of DTI has urged businessmen in the North to put up their booths for the Viva Vigan Binatbatan Festival Trade Fair to promote trade mark and unique crafts depicting the Ilocano culture and traditions for tourists and balikbayans. DTI records said last year’s trade fair chalked up a gross income of P5.02 million with Vigan’s OTOP longganisa and bagnet promoted by the 9 Sisters as the top grosser with P317,000 sales. The second best seller, Egg Choocks of Quezon City, P305,000; third was Mondiquing Handicraft of La Union with a total sales of P177,000; fourth, Mac-cheveens Souvenir of Vigan City and Annie’s Garden of La Union with a total sales of P170,000 each and fifth, Johan’s Pizza of Vigan with P43,500. Only the gross sales of top five exhibitors were made available. Mayor Medina expressed optimism that this year’s trade fair will surpass the 2012 Viva Vigan Trade and Food Fair with more exhibitors through the support of the Biguenos and other Local Government Units (LGU’s), DTI, DOT, DA and the provincial government. Other highlights of Viva Vigan Festival include the famous Binatbatan Street Dancing, Calesa Parade, Boklan (seed art), Carabao Painting and Pasagad Dressing, Abel Iloko Fashion Show “Bado ken Disenyo”; and Glass Mosaic.